Our proprietary electropolishing process meets or exceeds SEMATECH testing standards for surface finish, cleanliness and passivation performance. Electropolish also provides a corrosion resistant surface, and removes any discoloration on the surface caused by heat-treating and/or oxidation leaving you with a bright, reflective finish. 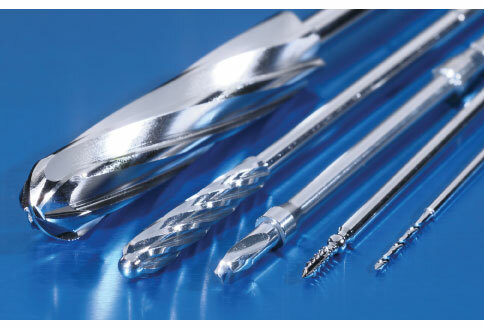 Although electropolish is primarily performed on stainless steel, Accurate Metal Finishing also provides electropolish and/or cleaning of a variety of exotic metals. At Accurate Metal Finishing, we specialize in stainless steel finishing of large-scale products utilizing any of our finishing processes. We feature a variety of large tanks capable of handling products up to 2 tons. With large tank capacity, as well as smaller hand-held lines, we are able to accommodate lot sizes from prototypes to tens of thousands of parts. Electropolish 300 Series 72" 28" 84"
Accurate Metal Finishing also offers out-of-tank electropolishing for extremely large products.